That's right, it's us. 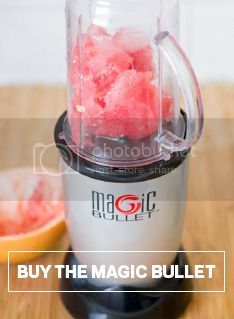 Your personal, versatile countertop kitchen magician - the world renown Magic Bullet! We love food - and we love making it quick and easy. Visit magicbulletblog.com to see our latest recipes! The end of summer is never easy…so here is a special giveaway that definitely is! Re-Tweet or Tweet Quote any Back to School Contest post during the month of August for a chance to win a complete Magic Bullet system. Be sure to include #B2SchoolMagic to be entered. We’ll be selecting 10 lucky winners. Good luck! I would do anything for a magic bullet!! !